Hey everyone! Today I will present to you another one of the brands that I came across in the Beauty Vision India exhibition (you can read about that HERE). Though this brand is from New York it is Indian at heart. 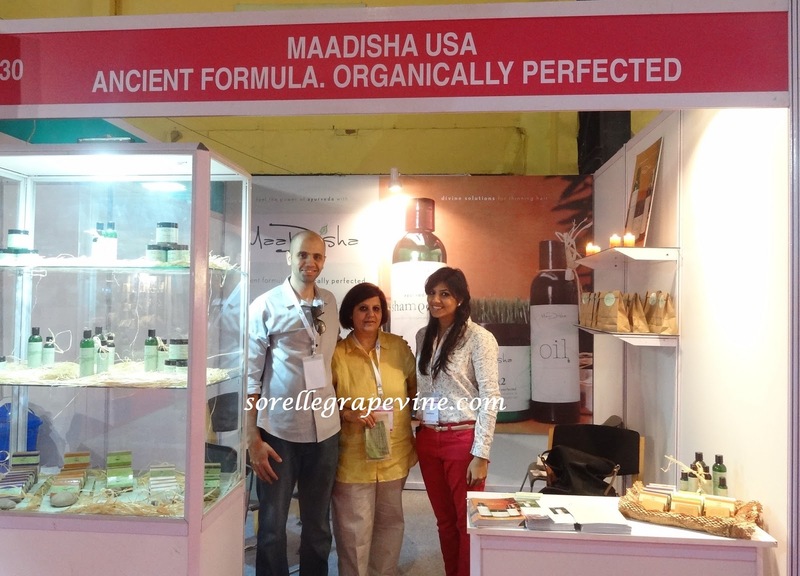 The lady behind the brand, Poonam, is a very sweet and warm person. It was such a pleasure to make her acquaintance. 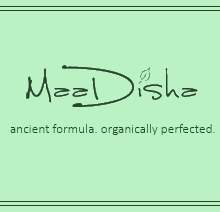 Her extended family is based in Mumbai so you can always get a hold of their products. Lets hear in their own words what they have to say about their organization. The main product line comprises of 3 products all targeted towards thinning hair problem – Oil6, Shampoo9 and Hair Mask2. 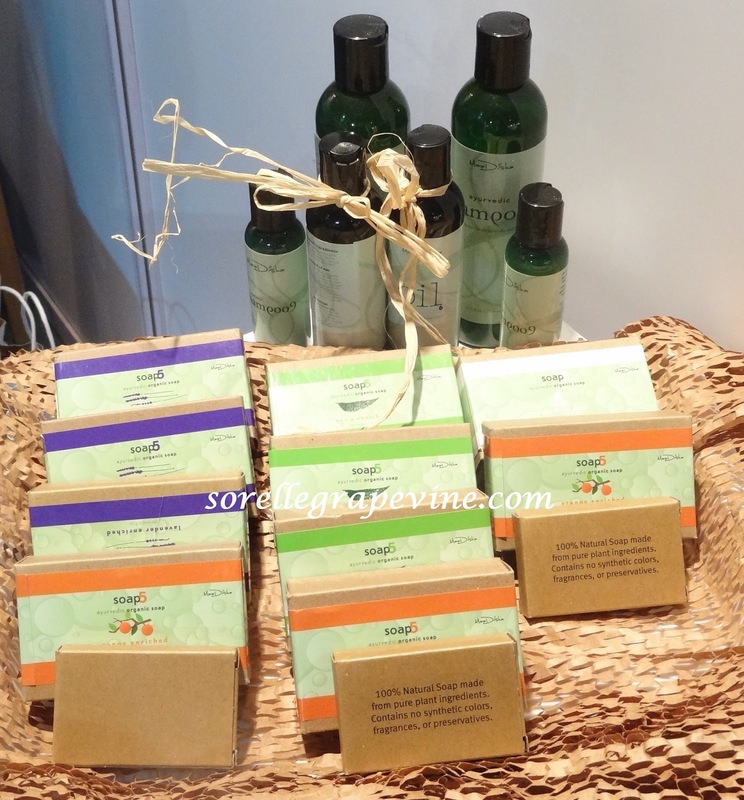 They have recently launched their soaps line as well and there are 5 varieties available in it – Orange, Neem, Lavender, Patchouli and Unscented (for sensitive skin). Let’s take a more detailed look into each of the products. Oil6: “Oil6 is an Ayurvedic hair oil blended togehter with six of natures most powerful ingredients and void of any harsh chemicals. Each of these “Ayurganic” (Ayurvedic / Organic) ingredients help not only heal the follicles, but also revitalizes and restores good hair health.” A combination of 6 ingredients (Gooseberry (Amla), Almond, Mustard, Coconut, Castor Oil and Bottle Gourd) this oil is supposed to help combat your hair loss woes and even promises to help in regrowth. Suitable for use by both men and women. For someone who faces this issue, let me tell you that it is no joke to grow back lost hair. I’m always on the look out to find the best product to help me combat this situation and I’m very interested to see how this product would work for me. This is supposed to work in conjunction with the oil and become your tools in fighting hair loss. 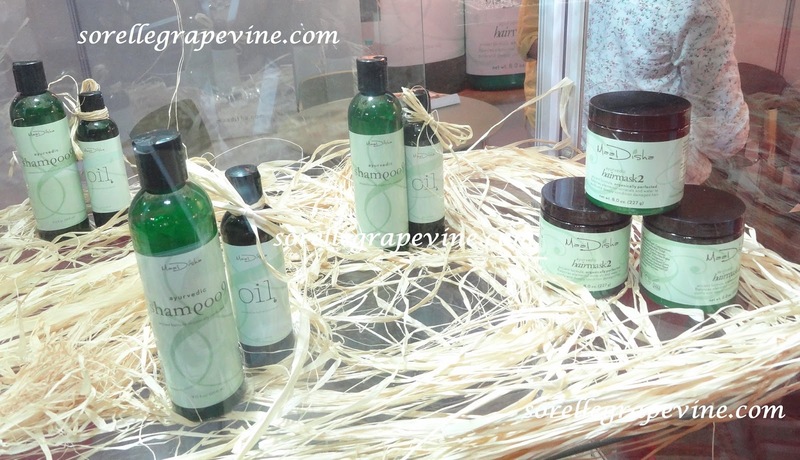 A chemical free shampoo made from 4 natural ingredients (Gooseberry, Soapnuts, Henna and Neem Extract) it is supposed to “make” your hair radiant and not just look it. Made with 4 natural ingredients (Gooseberry, Henna, Fenugreek, Shea Butter) this 15 minute treatment is supposed to restore energy, elasticity, stimulate hair follicles and rejuventate your hair. Made with 5 core natural ingredients (Sunflower Oil, Safflower Oil, Coconut Oil, Palm Oil, Aloe) these soaps are supposed to leave your skin well moisturized and with a “satin” feel. 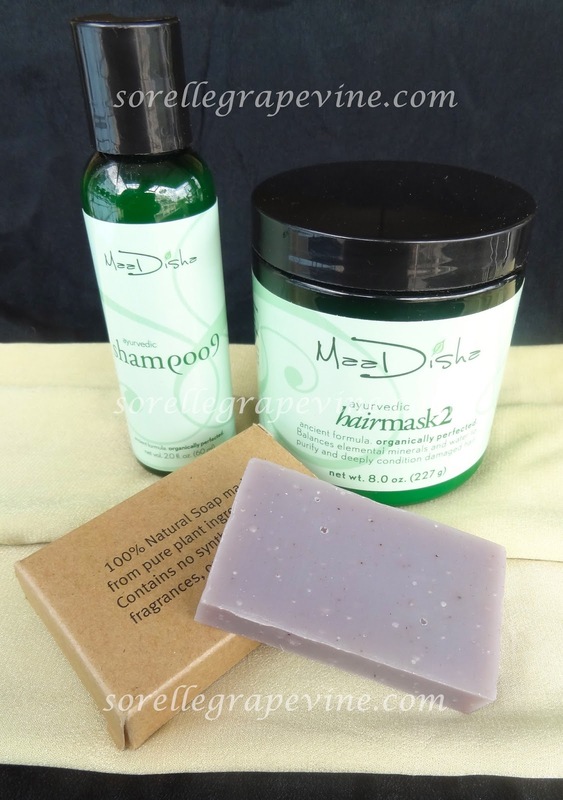 I got the shampoo and soap as sample from them and I bought the hair mask. I didn’t pick up the oil for now as I have a couple of them in my cabinet that I need to finish before I even think of getting something new. Very excited to see how it goes and what results I get to see due to them. The soaps are priced at $7 (approx Rs. 385/-), oil is for $20 (approx Rs. 1100) and both the shampoo and hair mask cost $30 (approx Rs. 1650/-) each. Keep watching this space for detailed review on each product. Bye!